The studio draws upon its technical building knowledge and recent experience to realise contemporary design solutions for commissions. The studio offers clients a professional, friendly and open minded approach to design, founded on the RIBA's tried and tested project work stages. Our design process focuses on future pragmatic responses that will help reduce your project's environmental impact. We focus on getting the basics right, designing healthy buildings, to create uplifting and adaptable designs, that can also reduce a reliance on energy and carbon intensive construction solutions. Over the last five years the studio has been working predominantly with local property developers and domestic clients, preparing designs to planning and technical designs for construction. The studio won 'Best Small Development of the Year' at the Cambridge Property Awards for Nelson Court in 2016 - A low energy mixed use residential development on a constrained brownfield site at the edge of a conservation area. In October 2017 the studio received planning permission for two new family homes, in the conservation area at Shepreth. In 2018 we completed developments at 188 Histon Road, Cambridge - A highly sustainable new residential development, and 114 Mill Road - a difficult mixed use urban corner site. Both of these schemes have recently been shortlisted for Cambridge Design and Construction Awards in separate categories. We're currently working on remodelling and extending a Grade II Listed cottage, preparing designs to remodel a post war 1950's detached suburban house, and seeking planning approval for sensitive interventions within a recent Cambridge City landmark development. studio24 architects are committed to providing clients with an informative, stimulating and professional design service. We follow the Royal Institute of British Architects (RIBA) Code of Professional Conduct. Project architects are registered with the ARB (Architects Registration Board). The studio is an RIBA Chartered Practice, to give clients confidence and assurance that the quality of service they receive, commitment to design excellence and delivery, is professional and accountable. Commissions undertaken by the studio use the RIBA's established plan of work project stage methodology. 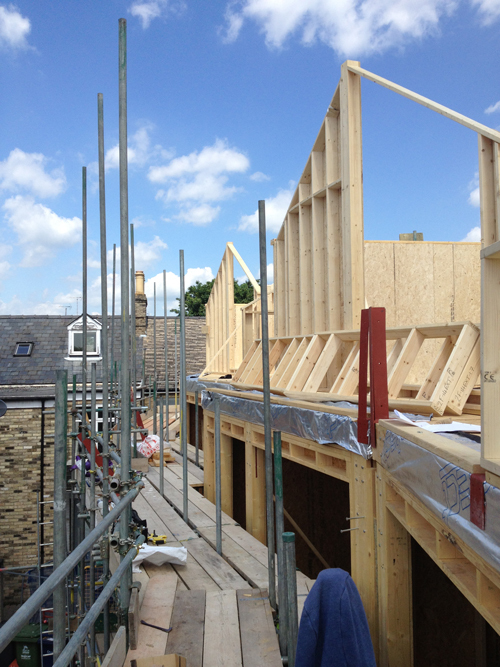 We use the RIBA's standard forms of appointment most appropriate to the scale of project, where possible. Alternatively contact the RIBA client advisory service for more information on engaging an architect.